We all pray that one day our children will become not only financially responsible, but also financially independent. As we search for How to Teach Teens about Money, we have to remember that our children have already absorbed quite a bit about money whether that was our intention or not. Whether you have actively taught your kids financial lessons or have just let them watch you, they have a few things figured out. By the time they turn 13, they have figured out where they rank in the socio-economic picture of the environment in which they live. They have figured out if they have more or less stuff or go on more or fewer vacations than their friends. They have watched you pay for things with cash, checks, or plastic cards. They have watched you withdraw cash from an ATM. They may have been told “we can't afford that” or they may have never those words. They have also probably listened to financial discussions between their parents. Whether they had an allowance and were responsible for some expenses or mom and dad paid for everything, they already have some ideas about money and how to handle it. No matter what you have told or will tell your children about money, the number one thing they will learn about money is how you handle it. The big change from elementary school money management to teen year money management are the times mom and dad are not around and they need money. How they get that money is something every family should spend some time thinking about. Are you going to hand them money every time they walk out the door or are you going to give them an allowance and expect them to cover some of their expenses? Will they have to earn their allowance? What items should they pay for? What do they need to know now, so that when they leave home, they can manage their money? The following steps are meant to help you as you think through these questions. Even if your children are not yet teens, open a savings account for them and give them some allowance. Giving children an allowance in their elementary years begins their education in saving, giving, and making purchasing decisions. It amazed me how many times I saw my children decide against an item after I told them, “Yes, you may have it, but you will have to pay for it.” We gave a fixed allowance to our children. If they wanted extra money, they could earn it by doing jobs like yard work. We let them determine their own rate of savings and giving. Discuss with your teens and tweens how they are going to acquire a car. A car is most likely the first major purchase a teen will face. We required our kids to contribute to their car purchase. Knowing this years in advance gave them plenty of incentive to work for extra money and to save. My husband took them to used car lots and showed them cars online so they would know how much money they would need to purchase what they wanted. If they previously thought they would be happy with the car they could buy with mom and dad's contribution, a trip to see actual cars showed them they needed to save for something more. Talk to your teens and younger children about how you manage your money. They don't need to know every gritty detail of your finances, but discuss your overall financial values and strategies with them. If something might confuse them, make sure they understand why you are doing things a particular way. For example: I almost always pay with credit cards. I do this because I want the airline miles, it is convenient, and it is safer than cash. (I know someone whose purse was stolen with her cash envelopes for the month inside.) However, I have told my children one million times that I ALWAYS pay the balance due IN FULL EVERY SINGLE MONTH. Whatever your financial situation and the story behind it, share it with them. Prepaid Debit Cards are great for learning. I am not big on carrying lots of cash. As the kids transitioned to having more responsibility for expenses (in their tween years), we gave them prepaid debit cards. Each month, they told me how much of their allowance money to load on the card, how much they wanted in cash, and how much to put in savings. It was complicated with three children, but we made it through those years by insisting they keep track of their own “extra money” hours, writing everything down on a log sheet I provided, and turning it all in to me once a month. Transition them to a checking account with a debit/ATM card. After they had the basics down, we put their allowance straight into their savings accounts. They were then responsible for transferring spending money into checking and going to the ATM if they needed cash. Decide what expenses they should pay for with their allowance. This decision is personal and each family has to make their own decisions. Our kids have been responsible for gas, birthday gifts for their friends (this is a biggie as sometimes there are several birthday celebrations every month), meals out on their own, and entertainment. We provide for their “needs” as determined by us. Our daughter sometimes buys extra clothes. Our sons would wear ratty shorts and a t-shirt on a 15 degree day rather than buy their own clothes. We also have a driving contract with our kids. If they follow their part of the contract, we pay for insurance and maintenance of their vehicles. Encourage (coerce) them to get a job. We have enough yard work at our house to keep our kids busy and in money in their younger teen years, but later we like for them to learn to work for someone else. Our oldest (now in college) was blessed with a very flexible job with four hour shifts, which enabled him to work even during the school year. Our middle son has been an entrepreneur transferring people's VHS recordings to video, shooting and editing events, working as a camera man for his school's football stadium “jumbotron,” and other odd jobs. Our youngest is still on the yard work detail, but is excited to get a job that does not involve our tractor. What is the plan for college? Discuss with your teen as you begin the college search how much you will be able to contribute to their education. This number will not necessarily help you rule in and out schools at the outset because the “sticker price” at most schools is not the final price. But make sure that your student applies to at least one “safe” school that the family can afford if scholarships and financial aid do not work out. 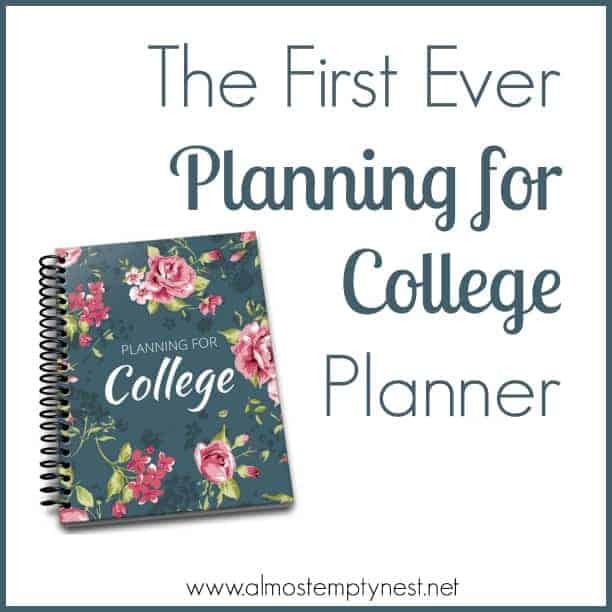 Set a spending money budget for college. This can be a difficult allowance to determine. When our oldest went to college, we made our best guesstimate of what he would need for gas, groceries, personal items, meals out, and entertainment. At the end of the first semester, we re-evaluated and upped his allowance a bit. Another hurdle is the college meal plan. Almost every college will require freshmen students to purchase a meal plan. Many require them to live on campus and purchase one of the pricier plans. My post “The Real Cost of a College Meal Plan” will help you decide on a plan and then budget for meals not eaten at the school. The teen years can be a challenging time for many families financially. 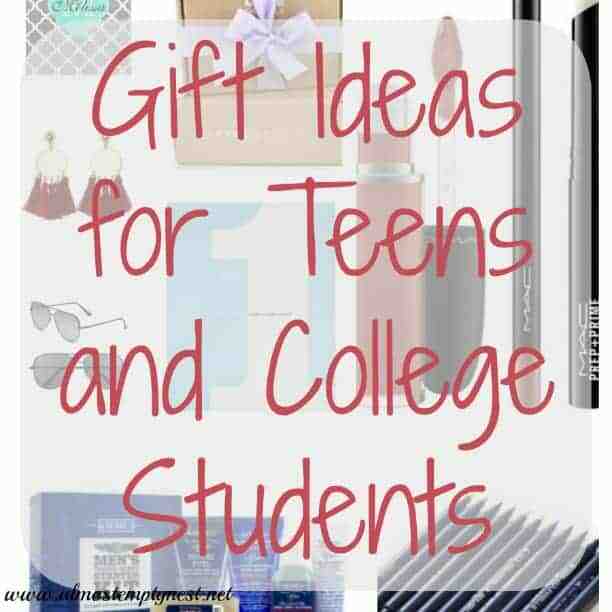 Teen activities are often expensive. Teens want freedom to go out to eat and buy entertainment. They want a car, fashionable clothing, and a smart phone. College is looming. Every family will have many decisions to make and there is no one right way to teach teens about money, but the end goal is the same: rearing financially responsible and independent children. There are many resources available for managing money. I have listed some below. Apps (too many to list) that help you track your spending. Square Cash app is a free app that also allows you to transfer money. Homey is a free app (with in-app purchases) that assigns chores to family members and keeps track of allowance or other rewards earned. Do your kids need a reality check? Go to Jumpstart and complete the reality check exercise. It will tell them how much money they need to earn for their desired spending. The mint has lessons and information for about financial responsibility for kids, teens, and parents. Suze herself couldn’t written this better….I thought the idea of pre-paid debt cards was genius. What is on there is what they have for the month….barring adding to it via a work paycheck. Very timely post! We are in the process of looking for a car for my eldest. He’s been saving up for a long time, and is anxious to get the best vehicle he can. We had to sit down and explain how he should save some of those savings to pay for insurance, gas and repairs, instead of blowing it all on the vehicle itself. Have you ever used any of Dave Ramsey’s materials? He grinds on me a little, but has some really valuable and wise information. My Mother’s idea of teaching me about money was to tell me to save. She was moody and anxious over money. This did not translate well. I’m glad you’re taking a realistic approach with this subject. at the beginning of high school, I gave my daughter a clothing budget. That gave her the freedom to buy what she wanted, but when the money was gone, it was gone. Then we moved up to a debit card with that same budget. We don’t do an allowance, but they work for their money. If they do their chores, they get paid. Oh that is brilliant about the prepaid debit cards. We’ve done a lot of the things you mentioned above – – mine is only 11 – – but I think something like that would be the perfect learning tool. Sometimes I think I beat to death the notion of how I manage my money – – I just tend to talk out loud as I’m used through decisions about spending or saving – – but I’m just hoping someday it all takes hold. Love this post, as I am always in favor of teaching kids how to save from when they are young. I tell my kids to save all the time. Bookmarking, some good tips here. thanks. Good guide. My kids used to keep asking me to buy things when we are out and about. So I decided I’ll give them a choice by giving them pocket money each week. After that, they didn’t ask me again as I said they could buy what they want using their savings. Most of the time when they want something, they weigh up the price to how many weeks it took them to save and decide to save rather than buy. Great tips! My oldest is only 6 and learned a lot about money in her first few years … we’re having to retrain her brain to realize she had to earn money for things she wants rather than expecting to be given everything. Teaching kids about money truly happens early! !